We've carefully tested and certified the HD700 using IEC IP56 waterproofing and dustproofing standards. The HD700 prevents all but the finest dust particles from entering its enclosure, and is proofed against high water pressure. Deserts, mountains, rivers, or seas, the HD700 greatly enhances the safety of your precious data. 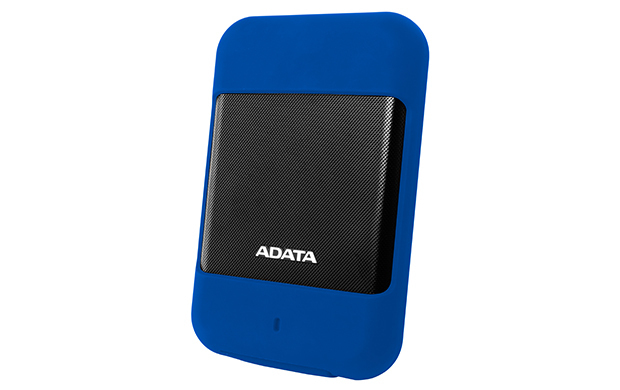 The HD700's enclosure is further wrapped in a tough silicone coat. All told, there are three layers of physical protection: the inner cushioned mounting, the shock-resistant plastic enclosure, and the removable silicone/rubber layer. The internal structure is made of just the drive and the mounts to reduce the number of shock-prone parts. The HD700 can easily withstand accidental drops or impacts from your activities, as it meets MIL-STD-810G 516.6 requirements.